Jack, where are my g*ddamn muffins? Anything that can, could have, or will go wrong, is going wrong, all at once. If there are two or more ways to do something, and one of those ways can result in a catastrophe or pregnancy, then someone will do it. Hello sorry for not blogging soo long. Usually i’ll pop out a blog every 3/4 days, now its all gone a bit to smithereens. 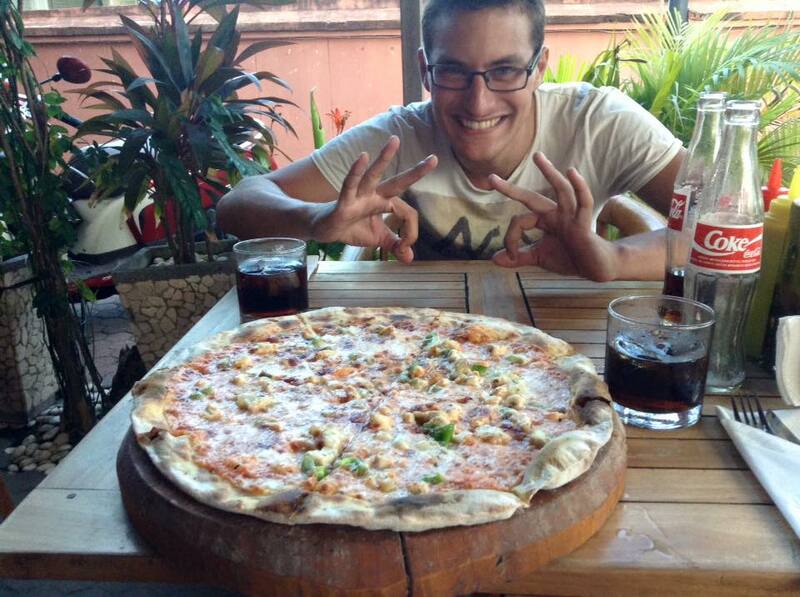 On the 9th had the best pizza in Bali! Nusa Dua Pizza! On the 12th, went surfing in Kuta Beach. We played a game of “Boter-Kaas-en-Eieren” with a dude on the beach, the wager was a beer. After losing the game, everyone at the Surf rental wanted a beer. in the end spend like 10 euro on beers… but well… it’s still vacation. The ticket to Vietnam is purchased and the visa (30 days, single entry) is arranged. First singapore and then off to Nam… the only problem is that it’s rainy season in the whole Asia continent…. And today (14 Jun) it’s also a quite rainy day here in Bali. So i don’t really know what to do today, but i’ll figure something out. Tomorrow the plan is to go Urban exploring in Bali’s abandoned theme park and then continue on to Ubud to go swim in some waterfall and explore the Rice terraces of Tallengang. Aah… after a good night rest in Kayun Hostel downtown… Grab a Uber and arrive at… KOS 168! In June I’ll be chillaxing and staying in Jimbaran. KOS 168.